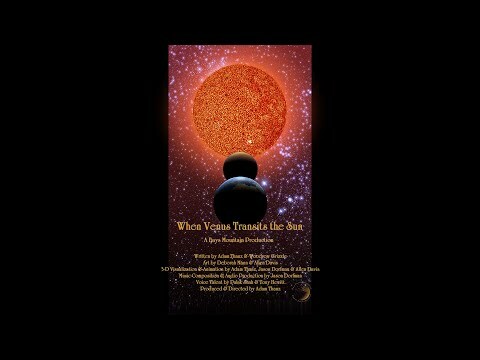 This is a fantastic full-dome show that looks into the rare and magnificent celestial apparition called a Venus transit. The show covers what a transit is, a famous transit viewing from the 18th centu ry led by Captain Cook, and exciting information about the sun and Venus. There will also be a live component to the show that allows the audience to participate in two fun activities. This program is excellent for 3rd grade and above. A Venus transit is when the planet Venus is seen passing in front of the sun. Why so special? Telescope technology in the 18th century allowed the firs t opportunity for astronomers to accurately determine the size of the Solar System. Another reason for being special is that these transits are rare. Two consecutive transits occur eight years apart. But, these pairs are separated by 105.5 and 121.5 years alternatively. The last two transits occurred in 2004 and 2012. Diehard optimists will just have to wait until 2117 for the next pair!